Michael and Anne Heseltine tell the story of how they created their extraordinary garden and arboretum at Thenford. 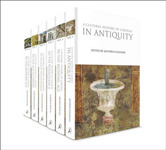 The long-awaited first book by "the Bonnie and Clyde of garden design"
The definitive overview on gardens through history, A Cultural History of Gardens covers 2,500 years of gardens as physical, social and artistic spaces. 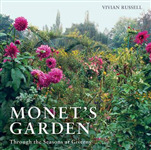 A behind-the-scenes look at the history of Claude Monet's garden at Giverny in France which links the world of Monet the artist with Monet the gardener, in a new paperback format.